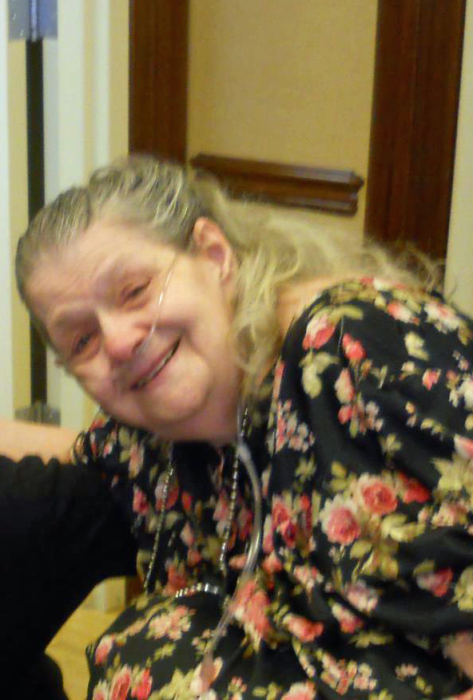 Adeline Ambolo, 86, of Mount Vernon, Illinois passed away at 9:05 A.M. January 31, 2019 at White Oak Rehabilitation Center in Mount Vernon, Illinois. She was born July 17, 1932 in Chicago, Illinois to the late Joseph Ambolo and Vida (Pellegrino) Ambolo. Adeline is survived by her son, Terrence Cook of Mount Vernon, Illinois; three daughters, Adalaide Cook of Mount Vernon, Illinois, Adele (Rodney) Dabe of Country Club Hills, Illinois, and Tina (Rod) McCanless of Wisconsin Rapids, Wisconsin; son, Michael Accomando of Country Club Hills, Illinois; granddaughters, Rosie, Theresa, Alicia, Cynthia, Debra, and Marsha (Joseph) Serio; grandsons, James, Lupe (Rene), Jason, and Brian; great-grandchildren, Michaela, Julian, Patricia, and Delaney; numerous nieces and nephews. Adeline was preceded in death by her parents, Joseph Ambolo and Vida (Pellegrino) Ambolo and husbands, Clarence Cook and Angelo Fiorito. Adeline loved singing in church, the Chicago Cubs Baseball, couponing, and spending the holidays with her family. She will be missed dearly by all who knew her. A Memorial Mass will be held at 11:00 A.M. Saturday, March 16, 2019 at Saint Mary Immaculate Conception Catholic Church with Father John Iffert officiating. Interment will follow at Saint Mary Cemetery in Mount Vernon, Illinois.